The new EC16 motor developed by Maxon Motor Australia is a brushless DC motor. The EC16 brushless DC motor is 16mm in diameter and has a length of 56mm, bringing a power rating of 40Watt. Its power rating is due to the optimised winding technology that results in less eddy current losses. The active parts, for example, the magnet and winding, take up a relatively large volume of the motor. Another advantage is the high surface to volume relationship. The heat energy produced in the EC16 DC motor can be distributed more efficiently. 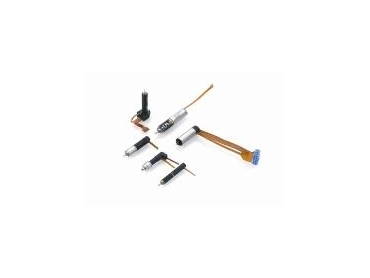 The speed range of the EC16 brushless DC motor is from 0 to 60,000rpm. Lower speeds and a corresponding high torque can be implemented with a planetary gear from the Maxon modular system. Brushless DC motors need the information of the actual rotor position for the electronic commutation of three phases. With the EC16 brushless DC motor, the concept to separate the control magnet from the main magnet has been applied. The Hall sensors of the electronic commutation are protected against interference of the magnet and the winding current. The characteristics of the EC16 brushless DC motor with the magnet material, Neodymium, include: the small dimensions, the wide speed range, the high dynamics and a better lifespan. Other advantages are better efficiency, no cogging, and the large linear speed/torque gradient which enables better control characteristics. These servo-drives are used in medical and dental technology along with high speed construction tools and automation systems.